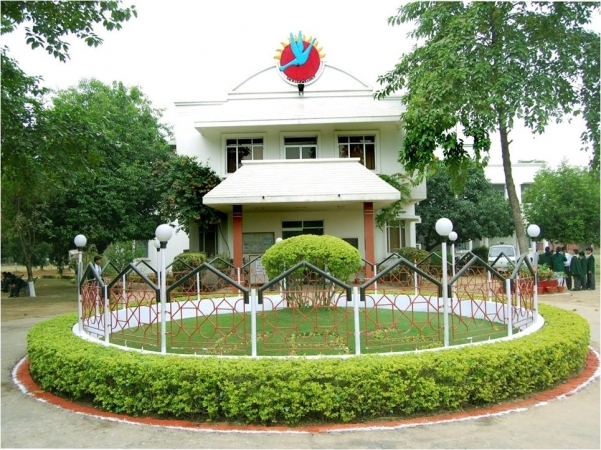 Vikas Bharti School is a non-profit co-educational, Fully Residential Public School. It is an organ of the Vikas Bharti Trust & Society, which was constituted on 30th June, 1995 by 23 leading personalities of Gorakhpur. The society was formally registered on 3rd July, 1995 and the project of the school was taken up for completion on 20th December, 1995. Vikas Bharti School is considered among the better known boarding schools in India and is affiliated to the Council for the Indian School Certificate Examination - CISCE Board New Delhi. We, at Vikas Bharti, are committed to holistic education and view education as having intrinsic value, quite apart from its vital function of increasing vocational opportunities. Our responsibility lies not only in the development of academic skills, but also vital non cognitive skills. The team at Vikas Bharti School comprises of well-qualified teachers and instructors, supported by an administrative staff. Our Endeavour is to provide an enriched environment to make teaching and learning a rewarding experience. The curriculum is relevant to the needs of a changing world. It promotes and inculcates academic excellence along with leadership qualities, self-confidence, mutual respect and a sense of global identity. Being a residential school, we take adequate measures to ensure quality pastoral care for our students. We look forward to being equal partners in your child’s education. Provide your child the advantage of the Vikas Bharti Spark and discover why generations of VIBIANS are so proud of their Alma Mater!